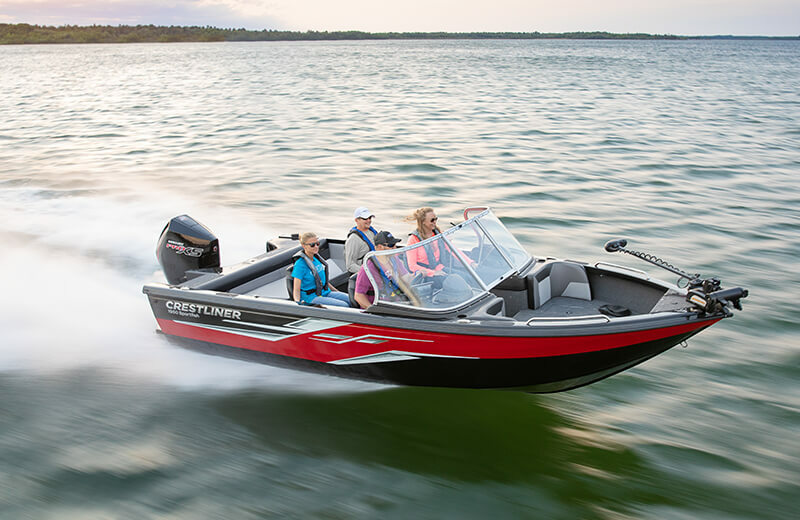 The Crestliner Sportfish puts a range of activities at your fingertips. You’ll find ample amenities like massive, lockable rod storage, pro seats, an SST swim platform, and seating for up to 9 people so the whole family can enjoy these features. No matter if you plan to use the Sportfish as a fishing boat, a family recreation boat, or both, one thing is for sure: You’ll be the envy of the water. The Crestliner 1950 Sportfish comes with plenty of rod storage and in-floor rod/ski storage. The helm is fully featured, accommodating a Boss stereo system with Bluetooth capabilities, rocker switches, gauges and room for any additional large electronics. The all-welded aluminum hull means this sport fishing boat is durable enough to withstand anything Mother Nature can throw at it. So, you’ll get almost as many miles out of the 1950 Sportfish as you do memories.